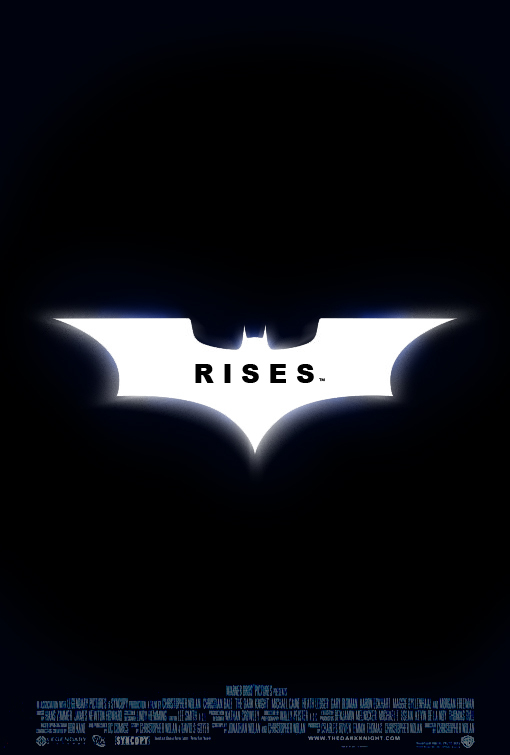 So here we are, what seemed like endless months, even years, and we are finally here...26 days until the release of Dark Knight Rises. Ok, maybe that isn't what you have been waiting for so intensely -- at least not the highest priority. But there has been waiting. Anticipation. A looking forward to all that God will do as He brings you together as husband and wife. You already have become such a part of each other's life, that it is difficult for each to think about what it was like without the other. Perhaps you imagined it for a brief instant when the deputy county clerk told you that the wedding license department was closed until August. Good thing he was joking. "It is not good that the man should be alone." Nor the woman. The Lord God has made you, and redeemed you, yet you have been incomplete. There was something missing, or rather, someone. In terms of faith and salvation, all has been made good in Christ. But you lacked someone to share that with -- a husband or wife to be united with, in the Lord. And so, as the Perfect Bridegroom Jesus is joined to His Bride, the Church, so He brings Matt the Bridegroom and joins him to his bride, Tiffany. Christ was first united with His bride at His cross, and continues to unite with her at His altar. At this same altar, He joins you. Matthew is leaving his father and mother to be joined to his wife, before the holy altar of the Lord, where the Word of the Lord is proclaimed, His Body and Blood are fed to His Bride, and you return week after week to receive Him. And week after week, you are comforted with the message of the Gospel you just heard. 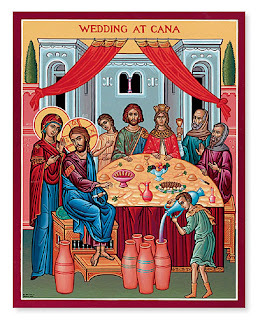 Just as the wedding at Cana was blessed with Jesus' presence, and did not run out of wine, so your wedding and marriage is bless by Jesus' presence, and will never run out of Jesus! Will you always be the perfect husband or perfect wife? Will you constantly see your spouse as the greatest gift from God, aside from salvation through Christ? Sadly, no. You will find times when you would rather sit and watch Frasier reruns, rather than do what your husband would like to do. Or when you would like to spend some extra cash on a collectible piece of movie memorabilia, while your wife feels a need to spend on some clothes or household items, or even to save. But don't worry. Fear not. Your loving Lord does not leave you stuck in your selfishness or doomed in disunity. Our Savior has brought you together, and united you in faith, and now is uniting you in heart, body, and mind. He pours out His mercy, forgiveness, and love, and leads you to do the same. And a Christian marriage will always thrive as the husband and wife, children of God, receive and give that mercy, forgiveness, and love. You already know the strength of your marriage before it has officially begun. Your relationship is not just about each of you as individuals. Believe it or not, your marriage is not even about you as a couple. It is about husband, wife, and Jesus Christ. The Lord Jesus is the third (and most important) One in this relationship. He is the true and perfect Hero who is risen. He has rescued you from the devil, the world, and your sinful self, and keeps bringing you back to this altar to receive that mercy, forgiveness, and love from Him through His Gospel and Sacraments. He brings you to this very altar rail, where you will never run out of Jesus, and where He feeds you forgiveness, life, and salvation, at His wedding feast of love. And that is the foundation of your ideal marriage in the Lord. Amen.